The Falvos Inground Pool is a spacious design that offers ample room for pool games, laps, or simply swimming with friends. 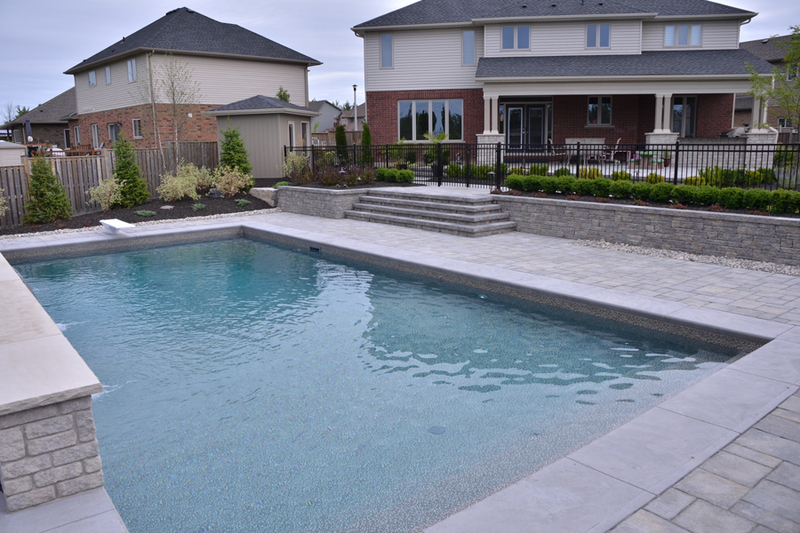 This incredible backyard space includes plenty of space on the pool deck for patio seating or barbecuing on a warm summers night. 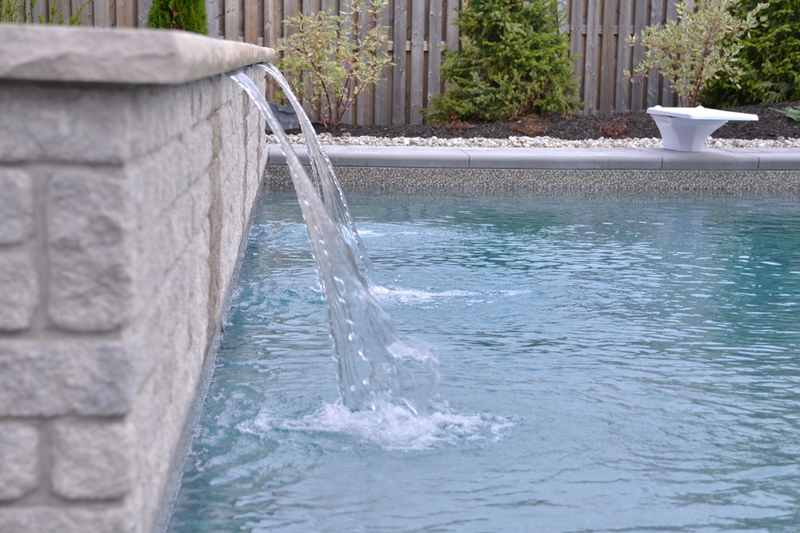 The two tone stone trim surrounds the waters edge and draws the eye towards the refreshing aura of the water. 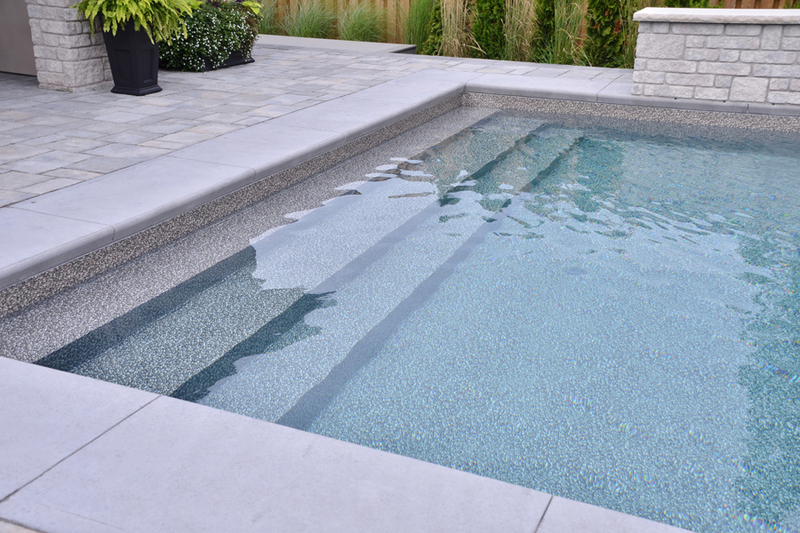 The shallow end features vinyl over steel steps that maintain the clean and modern design of the rectangle structure while the deep end offers some fun with a built in diving board. 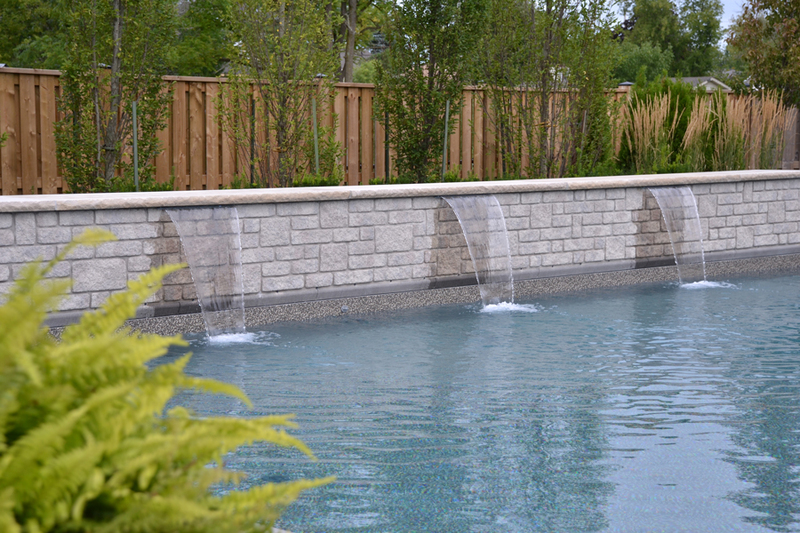 On the far side of the pool your eye is drawn to the raised wall that nearly spans the distance of the pool and includes three sheer descent water features.